Scott grew up in Newcastle, and attended the local primary & high school. He left school in 1978, and enrolled in Vet Science at Sydney University in 1979. After graduating in 1983, he spent two years working in a mixed practice in Western Sydney, followed by a two year period travelling overland to the UK, doing locum work in England & Wales, and travelling in Europe. 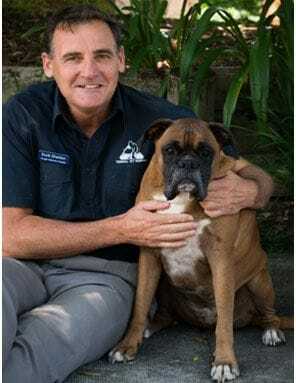 He returned to Oz in 1988, and continued his career in small animal practice in Western Sydney, before moving to the Central Coast, and entering Terrigal Vet Hospital as a partner in 1993. Scott lives with his two adult sons, and his constant canine companion Kobi. He spends his leisure time playing football and tennis, is an occasional fisherman, and enjoys the ups and downs of supporting the Mariners. 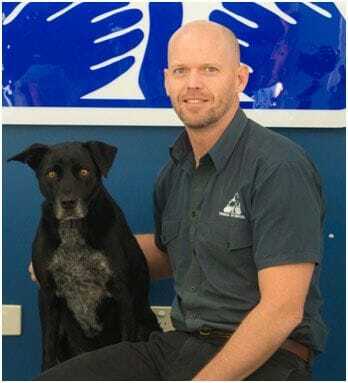 Simon graduated Sydney University 2003 and spent time working as a veterinarian overseas and around Australia before settling on the central coast in 2008. He has been at Terrigal veterinary hospital since 2009. Home is an ever growing menagerie, at the time of writing; 3 kids, 3 horses, a dog, a cat and many chickens. If he's not with them he's probably surfing. 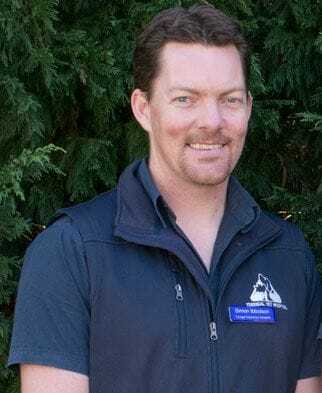 After working for 9 years in rural/mixed practice Anthony moved to the Central Coast in 2011 and started work as a small animal veterinarian. He joined Terrigal Vet Hospital mid-way through 2015 on a part-time basis and then became a partner and full time veterinarian in the business at the end of 2016. Life has been busy for him and his wife Lindsay since the arrival of their 2 boys, Beau (April 2014) and Edward (September 2016). The family is loved and protected by the ever loyal Moshi, who remains the best dog ever rescued from Cooma RSPCA! Anthony enjoys challenge of medical cases, as well as neurology and orthopaedic surgery. Sammi has been a Central Coast local since she was 8. 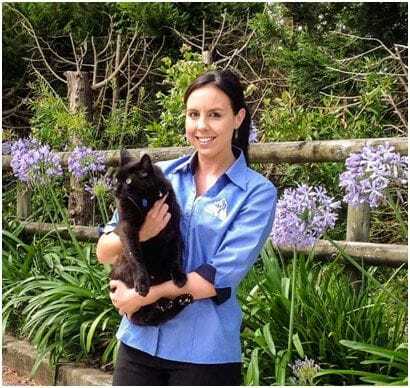 After graduating with a Bachelor of Veterinary Science in 2003 from Sydney University, Sammi spent her first 2 years in mixed practice in North-east Tasmania and Cowra. After this she spent 5 years in the United Kingdom working in mixed practice in South Wales and then in Small animal practice in Reading, Berkshire. In 2010, Sammi and her husband Paul moved back to the Central Coast to settle down. They have 3 kids, Monty, Amélie and Benjamin and 2 Labradors, Ruby and Rosie. Sammi has been working part-time in small animal practice on the Central Coast since 2010 and started working at Terrigal Vet Hospital as a locum in January 2017. She has come on board in a permanent part-time capacity on Fridays as of January 2019. She loves the Central Coast and walking her dogs on the beach, sailing on a yacht in the twilight races on Brisbane water and playing soccer with the Avoca Sharks. Tracey has been nursing in and around Newcastle and the Central Coast since 2003. On her days off she is kept busy by her active family consisting of husband Chris and daughters Layla, Evie and Gabby. They share their home with Stella the Cocker Spaniel, Bowie the Pug, Rio the Persian, Cosmo the Domestic Long Hair and with various Isa Brown and Silky chooks, multiple goldfish and an Eastern Long Neck turtle named Yoshi. Veronica started vet nursing in 2011 and joined our team in 2014. She completed Certificate II in Animal Studies and Certificate IV in Veterinary Nursing at Kurri Kurri TAFE and is currently completing a short course in clinical pathology for vet nurses. Veronica runs our puppy preschool classes, she loves meeting all the new puppies and making sure their first experience at our hospital is a positive one. She has four mixed breed dogs of her own named Polo, Calvin, Chloe and Gucci and two cockatiels named Sunny and Squeak who are both 22 years old! 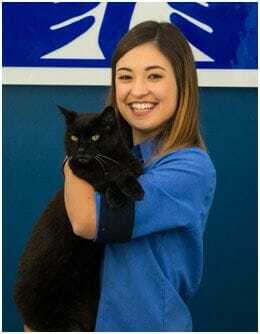 Natasha started working at our hospital as a work placement student and soon after graduated with a Certificate IV in Veterinary Nursing and joined our team. She has two furry feline friends of her own, Muffy and Dotti but also adores the company of Mozi the clinic cat (pictured above). In her spare time she can be found squeezing her cats close to her and forcing them to love her! Hannah is a trainee vet nurse who is currently studying her certificate 4 in veterinary nursing due to finish in late 2018, her favourite part of working at the clinic is learning something new every day, observing all the interesting surgeries and getting to hug all the puppies and kittens. Hannah also has her certificate 2 in Animal Studies which she acquired while working at the Australian Reptile Park, At home she has a corgi named Ardley and a ginger cat named Delilah who she forces to love her every day. 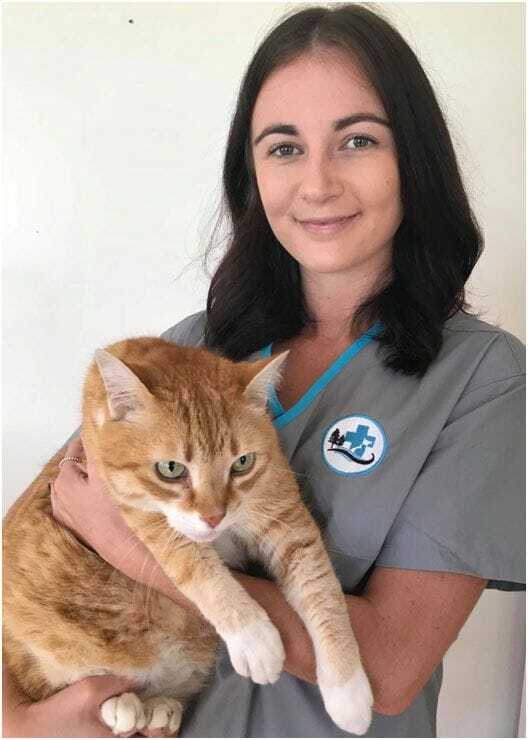 Emily recently joined our team in February 2019 as a Veterinary nurse and is due to complete her Certificate IV in June this year. After having achieved a degree in Animal Science in 2017 and working in clinic since graduating, she brings with her passion and knowledge from different areas of the animal industry and can't wait to meet you and your pets. On her days off she is with her family and enjoys spoiling her fur child, Lucy the one year old golden retriever.